Great on it's own or used in a blend. 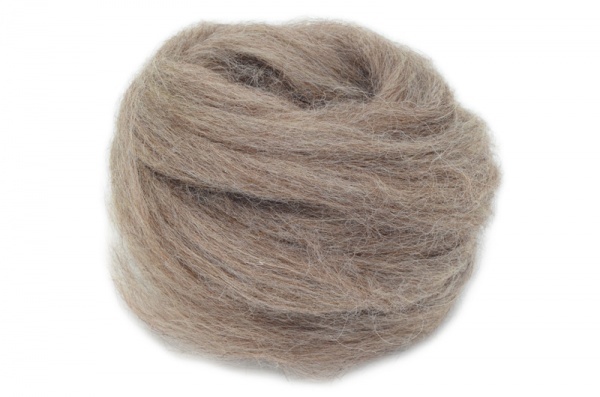 Massam is a light-grey, semi lustre wool with a micron count of 30. As with our other combed British wools we specify only the best quality fleeces are used in the combing. Produced by crossing a long lustre wool Wensleydale with Dalesbred or Swaledale, the result is a long semi lustre wool which is known for it's hardwearing properties for knitwear and also makes good strong felt. We have made blends for customers with other breeds such as Texel to give interesting effects. If you would like a blend making to your own design please contact us to discuss it further.